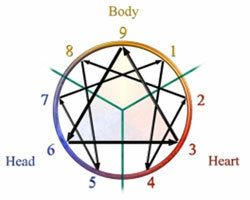 Enneagram is a Greek word – ennea (meaning “nine”) and gram (meaning something written or drawn) – and refers to the nine points, nine basic personality types. Based on various traditions over a thousand years old, studying the Enneagram system of psycho-spiritual development gives us an endlessly intriguing metaphor for waking up. Each style has its own natural gifts, limitations, blind spots, and its own distinctive ways of thinking, acting and being. In this workshop, we’ll quickly review the basic world-views of each type but this time, we will focus on the overlapping influences of the other eight numbers (EnneaTypes). Together, we’ll discover how each personal style can evolve with awareness or devolve without it. 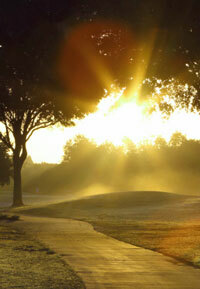 Participants will learn nine separate ways to practice returning to the light of compassionate awareness. NOTE: : If you’ve not come to the previous workshops, please join us anyway. We recommend that you prepare for the class by taking the free Enneagram quiz (“The Free RHETI Sampler“) and exploring the smartest website. 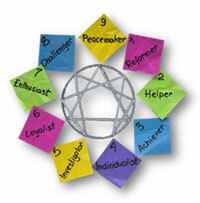 The Enneagram is a tool used to support the work of spiritual transformation by combining ancient wisdom with modern psychology. 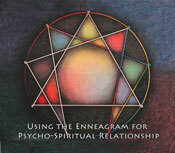 Firmly based on the belief that we have gifts that are necessary parts of the whole, Enneagram is simply one tool that can assist us in returning to the person we are at the core. 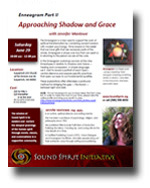 In this Enneagram workshop we look at the nine Enneatypes in relation to Shadow and Grace — healing and compassion. In simple language, we’ll start to revewl a portrait of each type’s central dilemma and explore specific practices that can open our eyes to our fundamental qualities. These explorations offer attendees a profound method for bridging the gap — the illusion — between light and dark. NOTE: It is not necessary for you to have taken the Part I class. But, in order to make the most of your time, please take the online profile (“The Free RHETI Sampler“) and bring your results to class. with Rev. Tom Thresher, Ph.D.
the self-serving commitments, core beliefs, and hidden assumptions that keep you from making the changes you say you want to make. 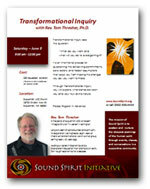 Through Transformational Inquiry, you will explore what stands between you and your truly divine nature. is the pastor of Suquamish UCC, a nascent Integral Church in western Washington. Long a student of consciousness and spirituality, his exploration was inspired by eight years of intensive transformational work in a small group setting nearly 40 years ago. After completing a Masters in Economics and a Doctorate in Education at Stanford University, he taught economics for a decade. He was a Dominican priest, a man of the turbulent Middle Ages &mdasgl bound by the theological expectations of the Church, yet with a heart as wide open as the sky. He has been called a bridge between Eastern and Western mysticism, the man from whom God hid nothing. Zen masters have claimed he was enlightened, and the modern Christian can only marvel at the radical nature of his monotheism. Enjoy the intrigue and beauty of the history of Celtic Spirituality. The combination of primal Celtic spirituality and the Celt’s enthusiasm for the stories of Jesus and the Spirit of Christ produced a gentler version of Christianity that brought Celtic Christians into conflict with the orthodox leaders of Rome. In this workshop, we will consider how this Celtic vision resonates with Christian Mystics, Eastern streams of Christianity, as well as diverse spiritual traditions today. Join Sue for a time of teaching and creative modes of exploring how the enduring Celtic views of creation, life, and the beyond may enliven your spirituality. has been teaching at the college level for nearly 30 years. In 2005, she returned to school earning her Masters of Divinity at Earlham School of Religion where she focused on writing as ministry, transformational spirituality, the body and spirituality, creative interaction with sacred texts, women of the Bible, and interfaith dialogue. She continues to teach at Edmonds Community College as well as lead workshops on topics such as Celtic spirituality, spiritual autobiography, modes of creativity, mindful Sabbath, and labyrinths. Advaita Vedanta is the philosophical base of much of modern Hinduism. The name means “the end of the Vedas” or in other words, the summation of the Vedas, the oldest written scriptures in the world. Drawing from the Upanishads, the Brahma-sutras and the Bhagavad Gita (Song of the Lord), Vedanta teaches a radical monotheism that sings with poetic intuition and a wise seeing into the deepest reality of all things. Join Kim Beyer-Nelson as she walks you through some of the central ideas of Advaita Vedanta and encourages you to dialogue about the connections and contrasts you will find with your own faith journey. holds a master’s degree in comparative religion and a graduate certificate in holistic healthcare, and she is a Hatha Yoga therapist. Her book, Easing into the Bhagavad Gita and Patanjali’s Yoga Sutras, will be available in a Kindle edition on Amazon in late February. 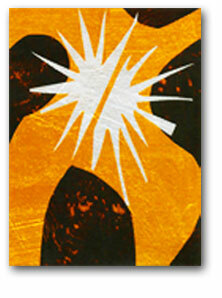 We in the 21st century are lucky to have access to the four short dialogues included in The Gospel of Mary Magdalene. Though incomplete, this little power house of spiritual wisdom reveals artful unity of form and function to lead us on an inward journey toward freedom. Join Sue Sutherland-Hanson for a time of teaching, discussion, contemplative reading, and creative modes of exploring what the text has to offer each of us. Sue Sutherland-Hanson, MAT, MDiv has spent her life teaching at the college level for nearly 30 years. In 2005, she returned to school earning her Masters of Divinity at Earlham School of Religion where she focused particular interest on transformational spirituality, the body and spirituality, creative interaction with sacred texts, women of the Bible, and interfaith dialogue. 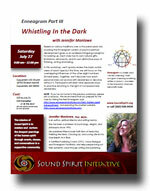 She continues to teach at Edmonds Community College and also preaches by invitation and facilitates retreats and workshops on topics such as Celtic spirituality, spiritual autobiography, modes of creativity, mindful Sabbath, labyrinths and more. This class explores the practice of stretch, gentle flows, breath work and mindfulness with an assist from a stable chair. The class is excellent for stress relief, increased flexibility and strength, as well as a lovely support for the spiritual journey. No special materials are necessary; please dress in comfortable clothing. 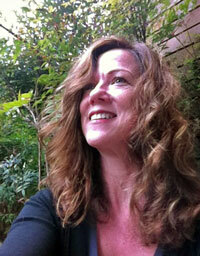 is a Hatha Yoga Therapist who has taught specialty yoga therapy classes for 19 years. 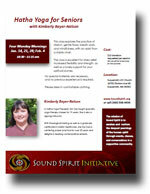 She is also a qigong instructor. With theological training as well as a graduate certificate in holistic healthcare, she has had a centering prayer practice for over 20 years and delights in leading contemplative retreats.